Home heating is crucial in the northeast, especially for the winter months. There are many factors to consider when choosing a heating option for your home. Efficiency and cost are two of the biggest. When it comes to heating your home, which is preferable, a heat pump, a furnace, or a boiler? There are pros and cons to all options. 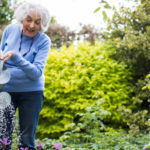 Depending on your climate, home size, home age, budget, and other needs, one may be a much better fit for you and your family. Despite their name, heat pumps can both heat and cool your home. Heat pumps work by exchanging warm air to where it is needed. Heat pumps extract the heat (there is some present even in cold air) from outside your home and into the rooms you wish to heat. It doesn’t generate its own heat, rather, it transports it. Heat pumps are known for their durability and long lifespan. Heat pumps can last sometimes double what a furnace can. One of the biggest advantages to a heat pump is its lower initial cost. Heat pumps run on electricity so a high bill is possible, especially in the dead of winter when it takes a lot of energy to heat your home. But they are the most energy efficient option. Unlike a heat pump, a furnace does generate warm air. In fact, a furnace uses natural gas to heat air as it runs through it. This air is then sent out through ductwork into your home. Because it is heating the air itself and not just transferring it, a furnace will keep your house consistently toasty no matter what the conditions may be outside. While costing more up front, gas as a fuel means a lower monthly utility bill, especially with the current price of natural gas. Because a furnace can achieve a higher temperature, faster, it creates much warmer air. This also means that no backup heat source is needed when temperatures drop overnight. 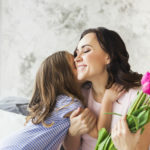 Furnaces do need more routine maintenance because they are connected to your gas line. While furnaces hear air, boilers heat water. Boilers create either hot water or steam which it sends out through a series of pipes. Hot water can be distributed through baseboard radiators, in floor heating, and even heat the air by use of a coil. Steam is sent through the pipes into radiators. Boilers can be either oil- or gas-fired. Boilers are a clean form a heating that don’t create or circulate particles since no new air is entering the space. This is great for anyone with allergies. Boilers infuse the air instead of force feeding air into the room. This does mean, however, that the warmest air is closest to the radiator. 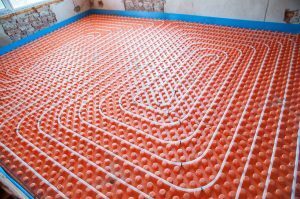 For this reason, in-floor radiant heating has become popular in recent years. Boilers are also fairly quiet outside the boiler itself. Choosing a heating system depends on a lot of factors. At A.J. 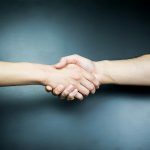 Perri, we are happy to discuss your needs and the different options that will work for your home. 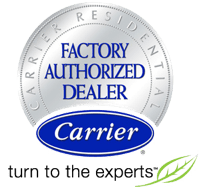 We carrier top of the line Carrier heating systems, so you know a system from us will be highly efficient and top quality. 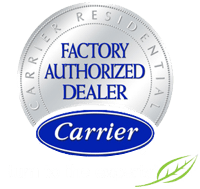 Contact us today to learn more about system pricing and installation.